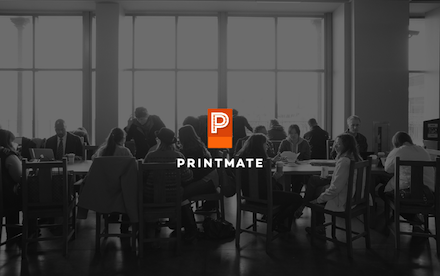 Printmate is a printer sharing service, or an Airbnb for printer I came up with and working on recently. In terms of design, the challenge was to balance building unique design style and easiness to use as a utility app. 6 oz. 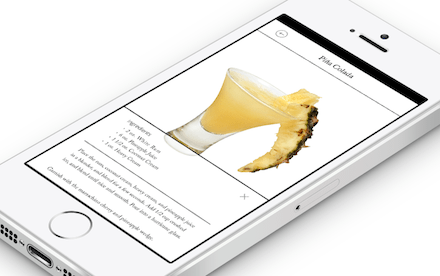 is a cocktail recipe app for mobile. The design has both sense of printed book and iOS7 design manner. 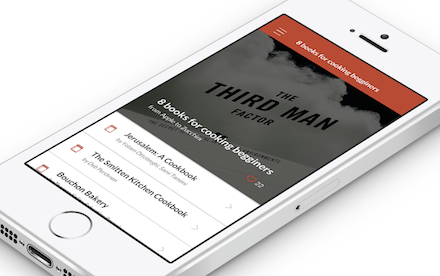 Booklist is a mobile app which provides function you can make your reading list and share with people. Its design has flat but also subtle layerd style with clear hierarchy of typeset which allows users to be buried in a scent of books. Find a mentor, be a mentor. Students rising above is a local nonprofit which helps high school students who are in low-income family and first generation college students-to-be to ready for college. 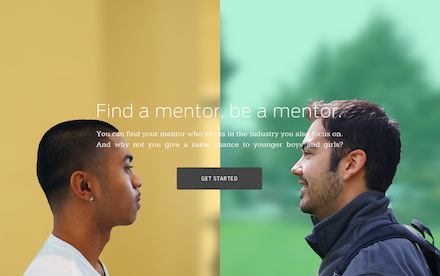 This is a microsite design to recruit local college/university students as a mentor for them. Brand design project for a local food store. The logo has mixed sense of local taste and Japanese design. 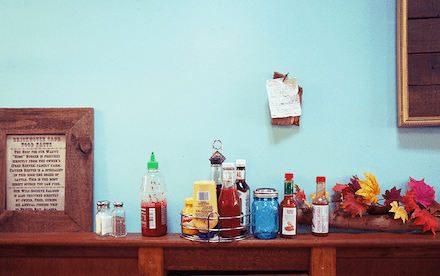 It was designed for a variety of uses from business kit, food truck to social media. A class project to research and prototype user experience for bank ATM. 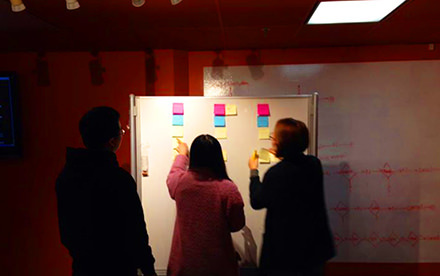 We as a group started to understand user stories and ended up with conducting user testing with mockups we prototyped. Type design based on Apple Garamond which had been used for years as Apple's corporate type and was also used in well known Think Different campaing. 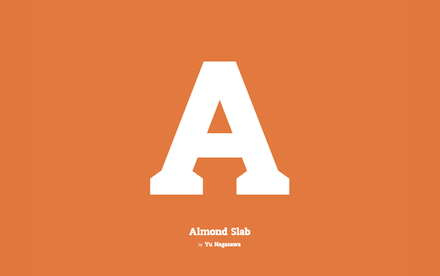 Enlarged original serif to be reborn as slab typeface and recognizable on any kind of media. 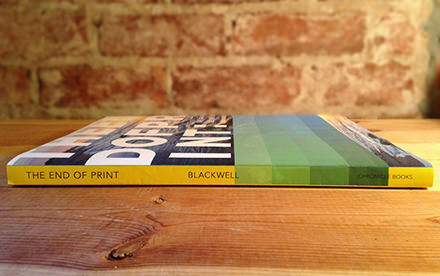 The End of Print is a book written by David Carson who is one of the most influential graphic designer working today, and also once a surfer and a sociology teacher. The design for this book cover is influenced a lot by his background and tried to expand it. Editorial design for an article about SOMA area in San Francisco. Art, food, fashion which are the keywords for this area made the colorful and bold design. Yu Nagasawa is a designer who focuses on UI Design, UX Thinking and Graphic Design. Lives in San Francisco. Drop me a line? ©2013 Yu Nagasawa, all rights reserved.